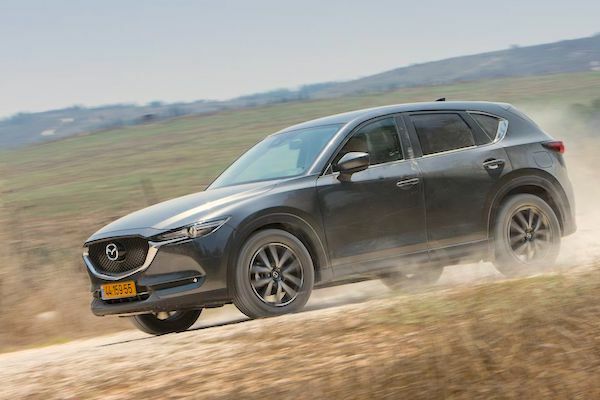 Israeli Mazda sales soar 53% year-on-year in November. Thanks to our partnership with cartube.co.il, we can share with you today November brands data for Israel, models data is a quarterly occurrence. The market is down a steep 9.7% year-on-year this month to 16.054 units, leading to a year-to-date tally down 4.8% to 262.390. Kia (-6%) retains the top spot for the 2nd straight month at 13.8% share vs. 13.4% YTD, distancing Skoda (-3%) and Toyota (-24%) while Nissan (+36%) soars to 4th place ahead of Renault (+0.1%). Leader YTD, Hyundai (-31%) is in great difficulty and falls 4 spots on October to #6. Mazda (+53%) and Mitsubishi (+30%) shine but Suzuki (-30%) and Seat (-14%) struggle. Further down, DS (+300%), Infiniti (+143%), Jaguar (+100%), Lexus (+87%), Dacia (+78%), Cadillac (+62%), Land Rover (+57%), Ford (+39%) lead a great performer field almost exclusively composed of premium brands. Full November 2018 Top 45 All-brands ranking below.